Asian Business School / Campus Updates / AEG holds its 7th annual sports extravaganza, ATHLEEMA 2019 with great pomp and splendour! Asian Education Group (AEG) held its much sought-after mega annual inter-college sports meet – ATHLEEMA 2019-Season 7 – from 13th to 15th March 2019at the sprawling Jasola Sports Complex, New Delhi with its traditional punch of excitement and grandeur. Like the earlier years, sought participation from colleges, institutes and universities from across the country. In all, 35 top colleges and universities enthusiastically participated in this sports spectacle. As far as Asian Education Group was concerned, all its three constituent group colleges – namely, Asian Business School (ABS), Asian School of Business (ASB) & Asian Law College (ALC) – actively participated in this high-pitch sports’ meet. 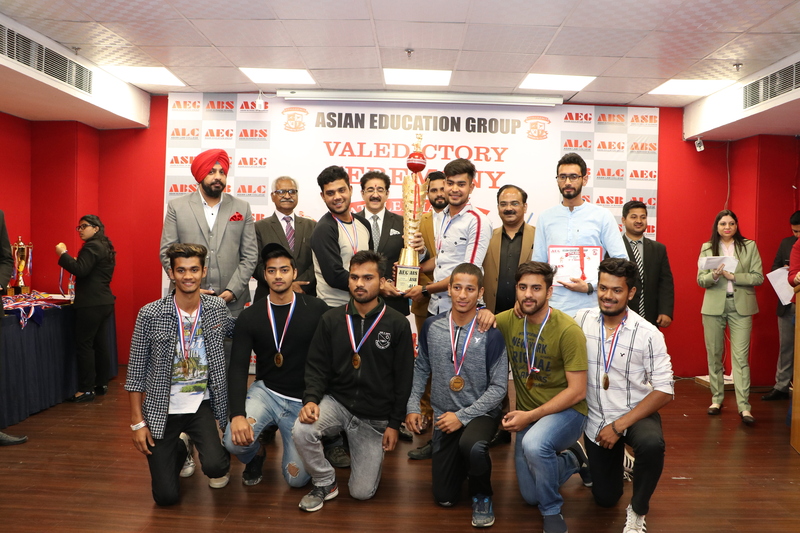 Following two days of intense competitions at Jasola Sports Complex on 13th & 14th March 2109, the grand Valedictory function for ATHLEEMA-Season 7 was held on Friday, 15th March 2019 at the AEG campus in Noida to felicitate students for their exemplary performance and zealous participation at the games. Prizes were given away by the well-known international media personality and AEG President, Dr Sandeep Marwah who aptly complimented and applauded the winners. Overall, the 7th annual sports meet ATHLEEMA 2019 turned out to be a huge success and left behind a trail of great memories and achievements for students to cherish for a long time. ASian Business SchoolAsian Education GroupsATHLEEMAsports meet.